Bath Fitter is a North American company that offers acrylic liners that renew the physical appearance of bathtubs and shower enclosures. The company incorporated in 2002 in North Carolina and has production facilities in the U.S. and Canada. The Better Business Bureau (BBB) accredited the company in 2003, and Bath Fitter holds the BBB's highest rating (A+) as of 2010. However, individual customer experience does not always align with the BBB rating. Bath Fitters is a franchise business. This means that your local Bath Fitter representative is independent in many ways. The company offers training to those who purchase franchises, but does not control the business operations. This means the quality of both work and service can vary widely between Bath Fitter representatives. Despite the company's overall solid rating with the BBB, individual customers have reported extremely rude service people, work that is incomplete and poor workmanship. Seek other people who have used your local Bath Fitter service to learn about their experience with the company before you commit to a project. Mold and mildew are a concern in any damp area, and bathrooms provide ample places for mold to grow. 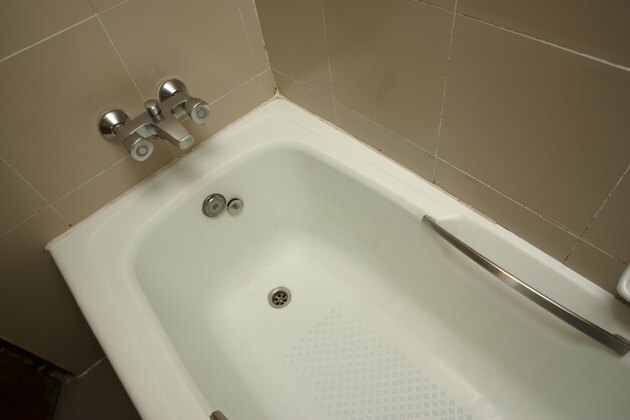 Properly installed Bath Fitter remodels should not allow mold to grow beneath the liner. Part of the service includes thorough cleaning to remove current mold or mildew. The area is then sealed to prevent new growth. However, because the individual franchise operators control the quality of the work, mold may become an issue if the cleaning and sealing process is not properly performed. Even if your local Bath Fitter has an excellent reputation among previous clients, it is a good idea to thoroughly clean the area with a three to one mixture of water and bleach before Bath Fitter installation. The Bath Fitter company offers a lifetime warranty, but this warranty only covers the Bath Fitter authorized liners. Individual franchises control any other parts of the warranty, including potential coverage for labor and installation. Read through all warranty materials carefully before signing a work contract and make sure warranties are in writing and are not simply verbal agreements. You will have no recourse with the main company if the workmanship fails. Can You Replace the Top of Your Sleep Number Mattress?